Funeral services for Mr. Ron “Pops” Nowling will be 10:00 A.M. Saturday, January 13, 2018, at LIGON & BOBO FUNERAL HOME with Bro. Jacob Lannom officiating. Interment will follow at Cedar Grove Cemetery. Visitation Friday 5-7 PM at and Saturday after 9 AM at Ligon & Bobo Funeral Home . Mr. Nowling, age 80 of Lebanon went home to be with the Lord on Monday, January 8, 2018, at Tennova Healthcare. Born December 6, 1937, in Indianapolis, Indiana, he is the son of the late Joseph Jennings Nowling Jr. and Ethel Irene Engle Nowling. 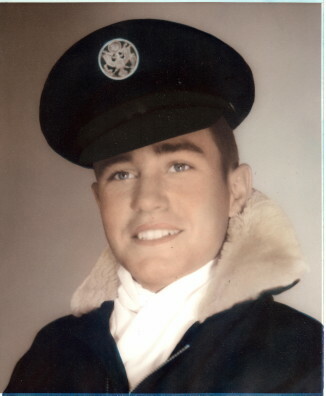 He served in the United States Air Force and is a member of Cedar Grove Baptist Church. He also was a Mason. He was the owner and operator of Auto Ranch and Family Campers for many years. He is survived by his wife of fifty six years, Gail Blood Nowling; two children, Greg (Meleia) Nowling and Robyn (Ray) Hamill; four grandchildren: R. J. (Marissa) Nowling, Kayla (Seth) Cross, Evan Tubb, and Alaya Nowling; great grandchild, Millie Cross; and a sister, Marilyn (Gene) Lockhart. Pallbearers: Ray Hamill, Gene Lockhart, R. J. Nowling, Bill Moore, Jimmy Neal, and Eugene Graves. The family request memorials made to St. Jude Children’s Hospital or to the Cedar Grove Baptist Church Youth Fund. May we always remember the good days we have had with Ron. Ron and I shared many happy times in our youth. I always looked forward to his family visits at our grandparents in Plainville, IN. May God bless those he leaves behind. Remembering the good times living next door, going to school. growing up together, God be with the family.